Requests & instantly downloads IRS Transcripts back to 1990. Works with individual & business transcripts. 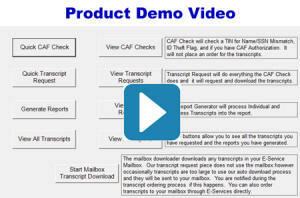 Requests, downloads transcripts & creates report in less than 5 minutes. Reduce the research and analysis required to correctly assess a client’s current IRS account and provide helpful advice. Program is installed on your computer, not a cloud app. Discover First Time Penalty Abatement Opportunities in seconds. Has all the features in the ProPlus Product. Bulk import your client list from your tax software. The software checks your client's IRS account for changes on their account: Audits, Liens, Collections, Significant Balance Changes, Compliance, and more. Monitor all of your clients in one easy to read dashboard. Bulk generate 8821/2848 & withdraw letters. Includes IRM and IRC Research Tool. Optional Intelligent Ordering of Transcripts. Optional Resolution Package with IRS Form Generation: 433's, 656's, 9465, and more (Including National Standards). This includes the CSED Calculator. 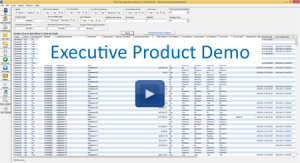 Has all the features in the ProPlus Product (Including IRS Transcript Downloads). 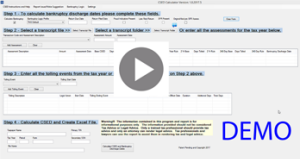 Calculates Bankruptcy Tax Discharge Dates. Calculates IRS 10 Year Debt Expiration Dates (CSED). Imports Tax Assessments and Tolling Events directly from IRS Transcript import or manually. Calculates return due date, return filed date and assessment dates directly from transcript import. Checks for SFR and fraud indicators. Import multiple transcripts, one at a time, or manually enter the values. Create multiple custom bankruptcy logic profiles for different scenarios and Federal Districts. Checks your Client's IRS Account for changes on their account: Audits, Liens, Collections, Significant Balance Changes, Compliance, and more. Monitor all Individual & Business Client's IRS Account Status From an Easy To Read Dashboard. © Copyright 2010 - 2019 Audit Detective, LLC ~ All Rights Reserved.